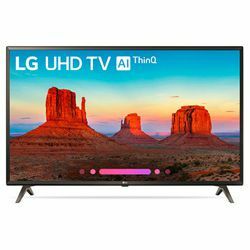 LG 49UK6300PUE vs LG 49UJ6300 is the test of the rather popular budget representatives of UK630 and UJ630 series respectively that appeared in 2016. 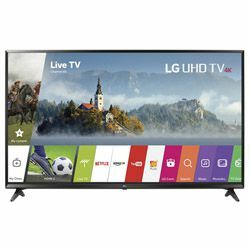 These series are remarkable for Smart TV function based on WebOS and Ultra HD support. The IPS display type allows watching from different perspectives without loss of quality. Their 4K Upscaler algorithm provides the image resizing up to 4K. UK630 is remarkable for the Frame Rate Control tech to reflect more color tones and shades. UJ630’s Active HDR is worth mentioning – it optimizes the content in HDR10 and HLG formats to make the dynamic range wider. While testing LG 49UK6300PUE vs 49UJ6300 in different environments, it was noted that LG 49UK6300PUE has gray spots in the dark room. Too low contrast ratio in comparison with LG 49UJ6300 has such a negative impact. LG 49UK6300PUE also loses sharpness a little like a PC monitor. LG 49UK6300PUE’s 120Hz frame rate reduces motion blur that provides TV watching without issues. It is better to watch this TV with Energy Saver off because it reduces the backlight and makes the picture quality poor. LG 49UJ6300 has demonstrated a great sound for the medium room without a need for a sound bar. It provides fast access to most of the modern apps with premium content. It’s Channel Plus has 50 IP free channels by default. It is no sense to compare LG 49UJ6300 vs LG 49UK6300PUE performance as both units have the same OS that is able to protect from dubious apps and hack of privacy. LG 49UK6300PUE and LG 49UJ6300’s design is not premium but functional with a decent build quality. It has some inputs in the rear panel that hampers the fast connections if the TV is on the wall. Both units have identical legs on the edges of TVs. LG 49UK6300PUE’s borders are not slim (0.75 inches) but it is normal for the middle-class TVs. It is less thick than LG 49UJ6300, but both of them are not thin that makes them look too clumsy on the wall. Friendly navigation for the different streaming channels. No magic remote included, need to buy it separately. 11ms on the game mode that is perfect for any gaming. Easy to mount on the wall even with using the pre-existing TV mount. Does not have a headphone jack.